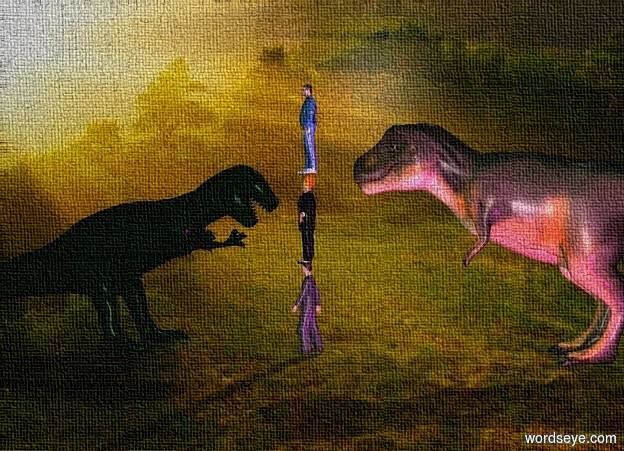 Input text: the first dinosaur is two feet behind a man. the 2nd man is on the man. the third man is on the 2nd man. the dinosaur is 35 feet long. a dinosaur is 5 feet in front of the first dinosaur. it is facing north. the magenta light is 10 feet right of the first dinosaur.